Hotchkis Sport Suspension 1415 67-69 Camaro/Firebird Chassis Max Sway Bar Brace. The Hotchkis Performance Chassis Max Sway Bar Brace for 67-69 F-Body cars is designed to add rigidity to the chassis to improve vehicle performance by reducing chassis flex. 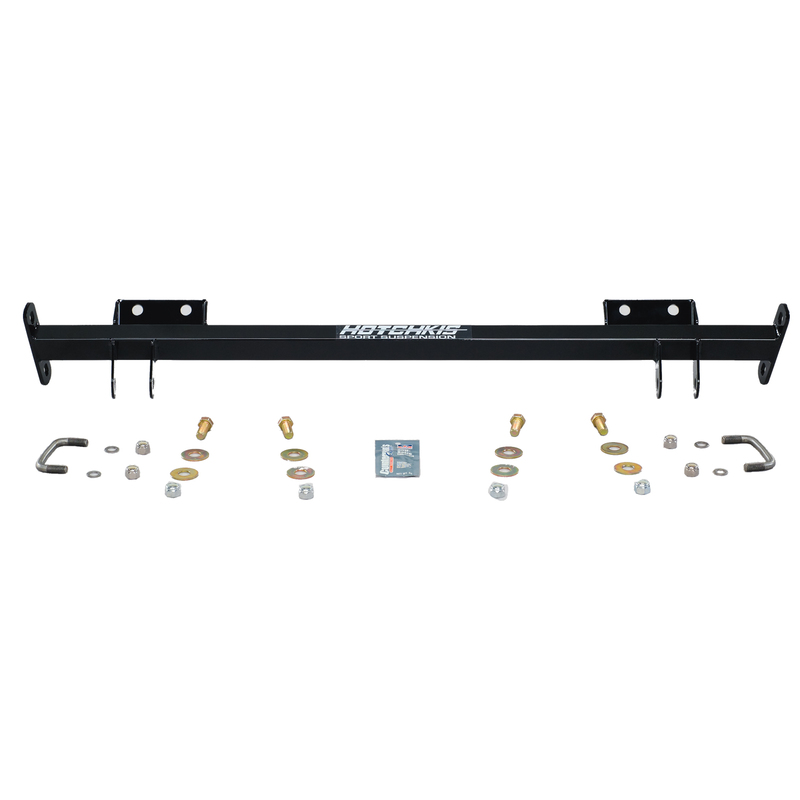 This upgrade to the current rear sway bar package is perfect for the serious track car but practical enough for the daily driver. Fabricated from 1 x 1.5 in. .120 in. wall rectangular steel TIG-welded connectors and are powder coated gloss black. Powder Coated Gloss Black Finish TIG-welded 1 in. x 1.5 in. Strong Super Light Weight Rectangular Tubing. New and Improved Mounting Location for Hotchkis Rear Sway Bar End Links. Will Work With Your Existing Hotchkis Rear Sway Bar. Reduces Chassis Flex During Cornering New and Improved Mounting Location for Hotchkis Rear Sway Bar End Links. Great upgrade for any restoration project. Features: Powder Coated Gloss Black Finish TIG-welded 1 in. x 1.5 in. Strong Super Light Weight Rectangular Tubing. New and Improved Mounting Location for Hotchkis Rear Sway Bar End Links. Will Work With Your Existing Hotchkis Rear Sway Bar. Benefits: Reduces Chassis Flex During Cornering New and Improved Mounting Location for Hotchkis Rear Sway Bar End Links. Great upgrade for any restoration project.